» Incredibly private retreat with 8,000 sq. ft. main house with great room & media room. » Chef’s kitchen, 3,400 sq. ft master, 3 guesd bedrooms. » Complete privte detached guest house with kitchen. » Amazing pool area with gorgeous pool house with dining room. » An unbelieveable and rare opportunity in Los Angeles. 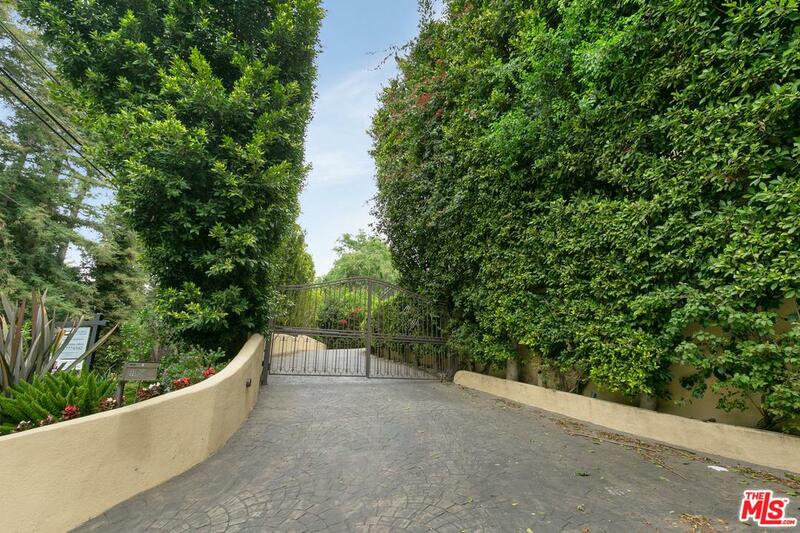 Incredibly private celebrity compound on 7.6+ acres, about 200 feet from Mulholland Drive & the border of Beverly Hills. Spectacular Mediterranean style main residence built in 1999 with approx 8,000 sq. ft. The 3,400 sq. ft master suite is beyond equal as well as the great room with 14” ceilings, incredible screening room, eat in chef’s kitchen, & office. Amongst the forest of redwood & oak trees there is an amazing private guest house, spectacular Hollywood style pool, surrounded by stunning palm trees and a full sized pool house with kitchen, dining area & living room. Paddle court, and barn for horses as this is zoned for horses. A one of kind compound once owned by screen legend Yvonne de Carlo. Gorgeous Beverly Hills Townhouse Condo For Sale in the Prime West End of Beverly Hills Close to all the Top Restaurants, Shopping & City Center in the Popular & Luxurious Full Service 211 Spalding Condominiums. » Stunning & quiet move in condition townhouse with huge private outdoor patio. » Beautiful bamboo wood floors on the first floor, spacious living room with sliding doors to outside. » Beautiful updated kitchen with breakfast counter open to a spacious dining room. » Concierge, valet parking, pool, spa, gym & gorgeous common areas.